This fly was very pretty too. 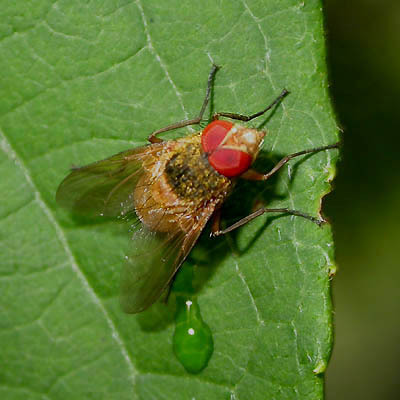 I saw this fly only once last year, so it might not be a very common species. I think ,this species is "Dexopollenia flava Aldrich,1930". this species is found in mountain pass & on the some flowers. Yes I observed this fly at an elevation of around 600m in Kyoto prefecture mountains.